. The pair were recently snapped up for an undisclosed figure by Accenture. M&C Saatchi has grown its brand consultancy group RE substantially since it launched in 2009 and most recently other brand consultancy firms have come out of the woodwork, including Thiink. SomeOne cofounder Gary Holt says Australia's creative firepower was behind the decision to launch in Sydney. “We are excited by the energy and creativity here in Sydney, and the ability to reach brands both big and small outside of Europe and America," Holt says. "We believe the relationship between SomeOne and VCCP will present a truly compelling combination of branding and communications expertise. Not least through our proven method of developing deeper connections with brand audience's – as we feel this suits the progressive and fast moving approach seen in so many businesses here." SomeOne Sydney is led by founding partners, Laura Coulson and Max Longstaff, who have relocated from the London studio. The pair have been behind multi-award winning work for a range of global clients. 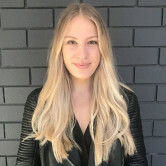 SomeOne Sydney has already been invited to be part of several high profile pitches and has won a significant brand project with one of Australia’s leading FMCG businesses. The agency would not reveal the name of the FMCG business, but the new work will launch in spring 2018. “We’re bringing the SomeOne approach to a new home; with a fresh perspective. We work on building compelling brands through what we call 'BrandWorlds’ – strategic insight, creative tools, experiential delivery, and truly valued and effective brand experiences – inside the brand and out. Sydney is a big opportunity for us, we’re very excited to be here," Holt adds. The news comes a year after VCCP unveiled its new global positioning as a "challenger agency for challenger brands". Since then, it has brought on a new CEO and is building momentum, recently picking up the creative for Cancer Council. 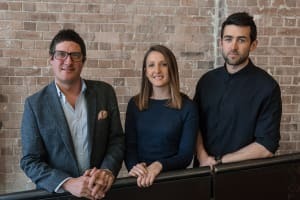 VCCP is extending its capabilities in design, partnering with London-based SomeOne to launch the branding agency in Sydney. Founded in London in 2006, SomeOne has worked across brands from the Olympics, Disney, Intel and Pernod Ricard. The Sydney office is its first overseas venture. VCCP CEO Andrew Holt says the launch is a great opportunity for VCCP to build out its design capabilities. world-class design and branding creativity to bear on our client's business challenges," he says. "SomeOne have a fantastic track record of inspiring design thinking that builds brands and drives big commercial returns for clients, so they are perfect partners for us. We are excited to be working together." The combination of brand and design is an attractive proposition, says Holt. It's similar to a move made by The Monkeys in 2013, joining forces with design company Maud. The pair were recently snapped up for an undisclosed figure by Accenture. M&C Saatchi has grown its brand consultancy group RE substantially since it launched in 2009 and most recently other brand consultancy firms have come out of the woodwork, including Thiink.